Cheyney Rock is a sand bank situated to the north-east of Sheerness sea-front. It’s also the name given to the area of land at the eastern boundary of Marine Town, Sheerness on the Isle of Sheppey in Kent, UK. Site established: 10 November 2011. 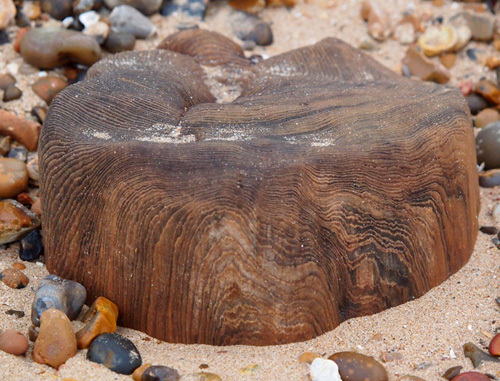 Started after a walk along the beach revealed a ‘new’ stump from the old coal pier, prompting another search into its origins: this time revealing several fascinating new insights into the local area, including the huge significance of the oyster fishing industry at Cheyney Rock, which seems to have been largely forgotten, and is rarely noted by current historic texts. Your website CheyneyRock.co.uk is of great interest as am currently researching the business lives [oysters and tannery] of ancestors William Alston [1758-1833] and David Thomas Alston [1799-1856]. From 1870s DTA’s son-in-law resided near Falmouth operating as an oyster merchant, sending [I think!] by ship or rail, young oysters to Kent oyster beds for fattening for subsequent sale to Billingsgate market, London. Because of the family connection I’m wondering if they came to the Cheyney Rock fishery, and if so who was the owner there from say 1860 to 1910. Cornish records offices have no refs at all about this operation, or which Kent merchants received the oysters, or how; neither have the Billingsgate archives anything to help, only occasionally referring to Alstons oysters. If you have any knowledge of the Cornwall/Kent oyster connection I would be most grateful to know about it. My friend Margaret is the current owner of Cheyney House, and has a large catalogue regarding the Alstons, referring to the Oyster beds and other matters relating to family. Catalogue and contents are currently residing with Maidstone Archives. This is Springfield, Maidstone. I have only just read your comment about the existence of an ‘Alston catalogue’. As I am well into researching and writing a biography of the Rochester Alstons [William A, d1833 and son David Thomas A d 1855] I am constantly seeking new information about the family. This William A built the Cheyney Rock House in 1816 and besides being a family dwelling was the administrative centre for his oyster fishery business. He also owned at the same time the leather tannery at Chalkwell, Sittingbourne. This William is my 3xg grandfather and I have a painting of his grand-daughter Ellen [my great grandmother]. I was most excited on reading your message and shall contact Maidstone archives to arrange to view the document[s] as they could answer many of the questions I have about these Alstons . Is the Archive at the Kent History Centre at the James Whatman Way, Maidstone? William A bought the Manor of Minster in 1799 but after eight years sold the estate, retaining only the oyster fishing rights of the Cheney Rock oyster grounds. Probably a shrewd move! Many thanks for contacting me about this subject; I am sorry I have not replied sooner. Interesting; I have information on the Cheyney period of holdings, especially Shurland Hall, home ( castle) of Sir William Cheyne(y). The oyster bed article is interesting as it may also reflect on the Cheyney industry sufficient for the reference to CheyneyRock. What is the history of the present Cheyney House? I don’t know all the details, but can tell you that it is in great need of repair. The current owner of the freehold of Cheyney House is in legal dispute because of a leasehold agreement drawn up with another person, who clearly did not understand the implications or terms of the contract, which was drawn up a by a local solicitor who may have been suffering from confusion due to age. My friend is required to pay utility bills for the property, even though there are none to speak of. She has no wall coverings, no ceilings in place and no floors in her section, which is on the ground floor. I have photos of this. The disputed leasehold section is on the second floor. The neighbouring attached property is owned by an artist who has removed part of the internal structure from what I can understand. The first floor lease is owned by her son, although he has moved out temporarily. My friend is expected to pay council tax on her part of the house even though it is unfit to live in, and the council refuses to pay her rent should she move into her son’s section of the house. She is a pensioner as well. In my opinion, this is a poor way to treat a lady in need of support. The house is amazing and full of history, being late Georgian and listed Grade II. It would be a great shame to see this building go to ruin for want of interest by historians and other parties. I have seen an account written by a local teacher which claimed the original house was part of the Manor of Minster and owned by John Hayward, who died in 1632. Whether this is fact, I do not know.